Sterling silver earrings created for children  the perfect gift for Christenings and Confirmation. Polished Heart Stud Earrings with Cubic Zirconia was published by Kevin Mayhew in February 2014 and is our 55303rd best seller. The ISBN for Polished Heart Stud Earrings with Cubic Zirconia is 5000341. Be the first to review Polished Heart Stud Earrings with Cubic Zirconia! Got a question? No problem! 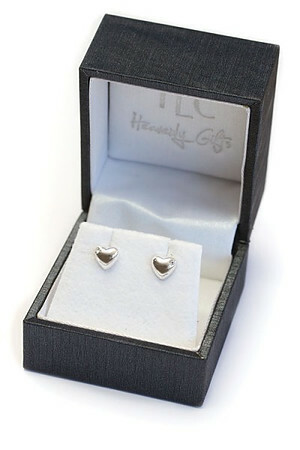 Just click here to ask us about Polished Heart Stud Earrings with Cubic Zirconia.